Discover the food, nature, yoga and meditation secrets of Nepal’s Himalayas in your off-the-grid, eco-luxury boutique resort! As a transformational process therapist and social worker, Marissa creates once-in-a-lifetime therapeutic retreats that also help local people in need. Marissa at Gone Far Beyond will also donate USD$50 for every retreat member to a local women’s program to help provide opportunities for women. Extra contributions with friends and family are welcome but there is no obligation. 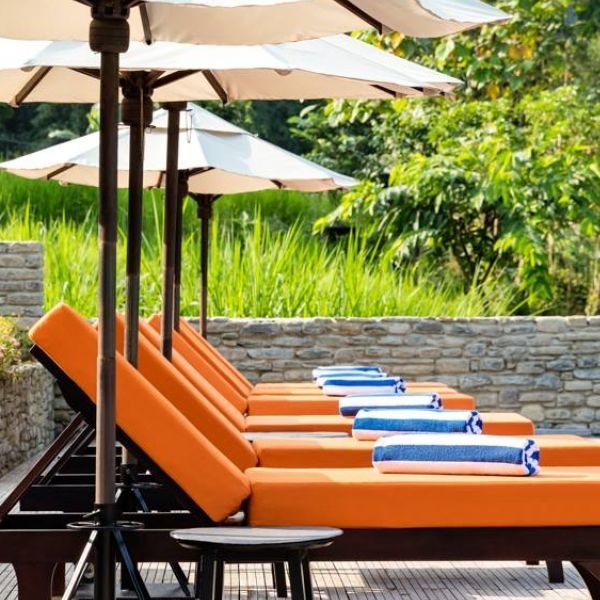 Nestled in the natural paradise of a lushly forested valley, and set against the backdrop of the majestic Himalayan mountain range, The Pavilions Himalayas is a truly eco-sensitive luxury boutique resort. Located in the unique setting of a working organic farm, the natural beauty of the setting reflects Nepal’s historic heritage as a centre of spiritual practice and the resort’s tranquil environment is perfect for undistracted meditation and yoga. The resort has eco-villas and eco-tented-villas, both separated by a mountain providing two incredible and unique experiences. Your first 4 days will be staying in villas surrounded by rice fields, then you have the luxury of the tented-villas in the forest by Phewa Lake, looking out to the Himalayan mountain range. Marissa as an internationally recognised social worker and therapist with The Pavilions as a socially enterprise come together to create this profound retreat. They share values of: sustainability, responsibility, compassion, excellence & positive social change. Marissa calls this a giving and receiving experience, where you will be indulge in all the simplicity, luxury, cultural and therapeutic delights of Nepal and participate in initiating and supporting projects that empower the lives of local people. The Pavilions’ goal is for 50 percent of families in the local village to benefit from direct and sustainable employment from the resort. While the other 50 percent of farmers can learn an additional skill and develop their businesses to provide The Pavilions with the produce they need. The Pavilions Himalayas is special as it is a ‘social business’ where the majority net profits goes directly to important social projects for the good of the whole local community. Marissa from Gone Far Beyond utilises her skills, expertise and local knowledge to offer inspirational, bespoke, tailor-made, experiences to raise funds and awareness for communities and people in need or crisis. During your one night in Kathmandu as you transit through to Pokhara, Nepals second city, you will be welcomed by one of the city’s treasures. This heritage building has been lovingly restored to its former glory and now offers a gorgeous boutique hotel and restaurant. Here you will begin the retreat and enjoy a special dinner and visit to the historic square. Your complimentary transfer take you from Kathmandu Airport to your hotel in Kathmandu on the 21st September, then onto your eco-retreat in Pokhara on the 22nd September. Pokhara is a breathtaking and special place. Nestled by Phewa Lake surrounded by snowcapped Himalayan mountain. 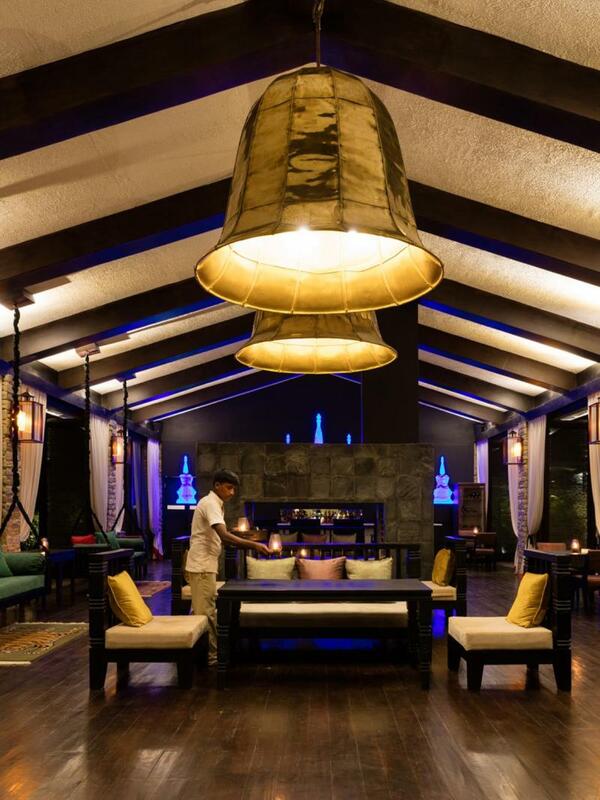 Your first 3 nights/4 days will be spent at the stunning Pavilions boutique eco-resort. This fully sustainable and off-the-grid hotel shows you how simplicity, luxury and nature can harmoniously co-exist. You will be amazed to see how the latest innovative, sustainable technology, eco-farming permaculture and traditional Nepalese ways have come together to create a remarkable place. The hotel offers you full room service, pool, spa, air conditioned rooms, vegetarian cuisine and your own private deluxe suite with a balcony looking out to rice fields and mountains. Here you will enjoy morning and evening professional yoga and meditation teachings, an eco-farm tour, a ‘food as medicine’ and ‘Nepalese cuisine cooking class’ from Marissa’s new cookbook ‘Himalayan Vegetarian Kitchen’. You will also indulge in your complimentary spa treatment, learn from a guest Nepalese yoga teacher and revel in the peace of nature. To travel from The Pavilions Hotel to The Lakeview Resort you will be treated to a gentle day-hike, visiting the famous World Peace Pagoda and take in the best views of the Himalayas this area has to offer. This hike is open to everyone, no experience is necessary. You will also enjoy a delicious lunch and meditation with the majestic mountains surrounding you. A harmonious hideaway perched above Phewa Lake, and surrounded by cascading rice fields and the Annapurna Himalayas, The Lakeview tented-villas offer a truly unique opportunity to reconnect with nature without sacrificing luxurious comforts. 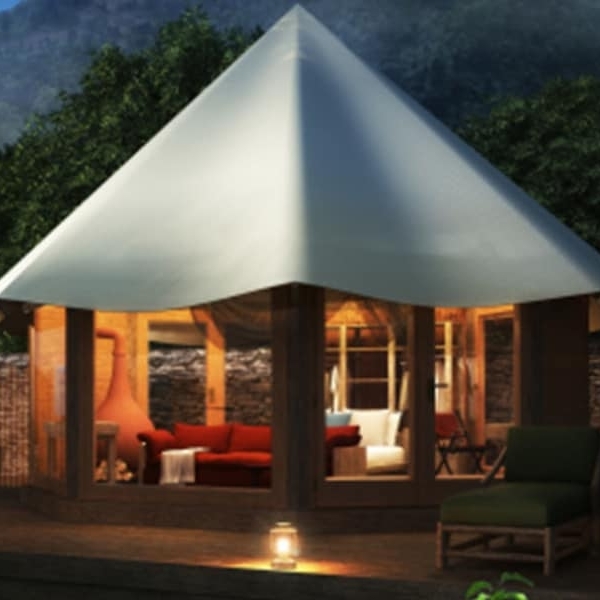 Revel in the laid-back charm of Pokhara in our uniquely-styled tented-villas that capture the essence of getting back to nature and experience the lush, green and tranquil surroundings without the hassle that comes along with traditional camping. This is ‘glam’-ing’ (glamorous camping) at its most finest. Email Marissa for a full itinerary: marissa@marissanolan.com. Contact Marissa to receive the full itinerary and packing check list. You can also see an article written by Marissa for women travelling solo by clicking HERE. As a transformational process therapist, therapeutic yoga and meditation teacher, mindfulness and compassion teacher and social worker, Marissa creates inspirational therapeutic retreats that also support those in need. 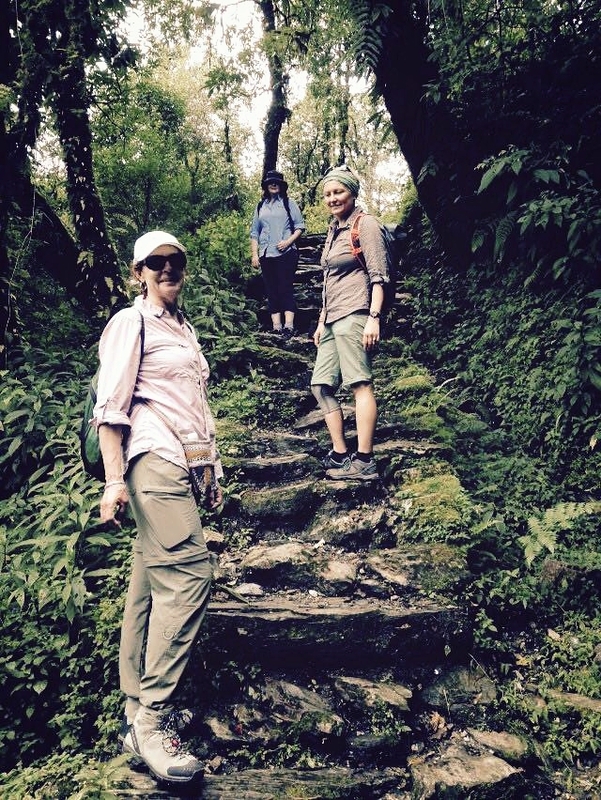 Marissa has spent 7 years as a academic research, teacher and therapist in Nepal. She adores showing you a place she knows and loves. You will experience transformational and insightful therapeutic yoga practices and therapeutic processes, designed to help you release, relax and regain a sense of wholeness, purpose and personal meaning. Being a process specialist means Marissa helps people heal, recover and most importantly find the beauty and appreciation for life. She has been facilitating international events for 15 years. In this comprehensive class, you will prepare mouthwatering dishes from Marissa’s new cookbook ‘Himalayan Vegetarian Kitchen’, with vegetables, herbs and spices straight from The Pavilions eco-farm garden onto the plate. Nepalese cuisine is important for vegetarians around the world as it shows you how to have a high protein and iron diet that is also fresh and packed full of vitamins, nutrients, minerals and antioxidants. It is also fast to prepare and incredibly delicious. With high and remote Himalayan regions in Nepal, food as medicine is the traditional healthcare. Around 1600 plants have been identified for their remedial value and many varieties cannot be found anywhere else in the world. Food is important for energy, strength, immune health and natural remedies for sickness and ailments. This will be a breathtaking journey in Nepal! The retreat includes: all food, accommodation at the resort and Kathmandu, professional yoga and meditation teaching, as well as one internal flight. During the retreat: In Nepal food is so much part of life. You will be treated to traditional Nepalese home cooked food, as well as a few fine dining experiences carefully hand picked by Marissa. 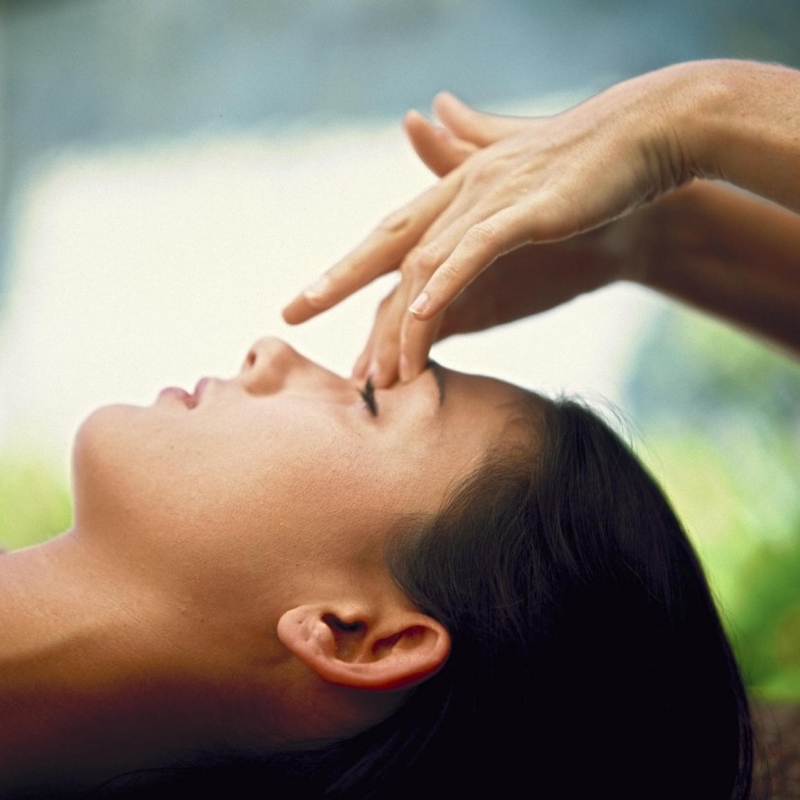 In your free time, you will have the opportunity to explore the mountains and Pokhara, and you can also take advantage of the complimentary massage or healing session that is included in the retreat fee. Yoga and social work are united by the principles of service, humanity, equality, compassion, liberation, openness, understanding and transcending boundaries. Marissa as a local therapeutic yoga teacher will introduce you to local Nepalese natural therapists and teachers who will share their unique practices and beautiful way of life. As a therapist and social worker, every retreat and experience Marissa creates is motivated to help others. For this trip, AUD$50 per person will be donated to providing resources and opportunities to women of Nepal. Extra contributions are welcome and members are free to raise additional funds, although there is no obligation. In Nepal, many women live with oppression and discrimination. Disadvantaged or traumatised children are also vulnerable to abuse, trafficking, labor exploitation, illness, prostitution, addiction and crime. As a local social worker, Marissa works closely with grassroots organisations, community leaders and local people to identify where our help can be of the greatest benefit, with the most positive and long-term social change. You will have the opportunity to learn about the complex social issues of Nepal, its history, its crises and understand the intricacies of social development and knowing how to help effectively. You will also meet the grassroots team that work toward greater opportunities for those in need in Nepal. A non-refundable deposit of AUD$500pp is required to reserve your place. If you book and pay your deposit before 1st July 2019 and save $200 off a private room with ensuite or save $600 off a twin or double share room with ensuite. Full payment is required before 1st September 2019. Cancellation fee is 100%. Group numbers are limited to 8 rooms. Contact Marissa for a full itinerary at marissa@marissanolan.com. To see reviews of our last trip, please go to: www.facebook.com/gonefarbeyond. Marissa has been organising international events for over 15 years. Working together with her team you are in very safe hands! Enter your email address to receive news, updates and special offers.